Welcome to Empire University, a comprehensive training program designed to teach proper cleaning procedures while reinforcing safe handling of all products. This program - in conjunction with the state-of-the-art training, available from our supplier partners - provides a system so complete and customizable that it will empower your employees with pride and professionalism. Whether it's MSDS or Bloodborne Pathogen training, we have the curriculum you need. Basic or advanced on-site training along with web based training modules designed to give new employees a head start. 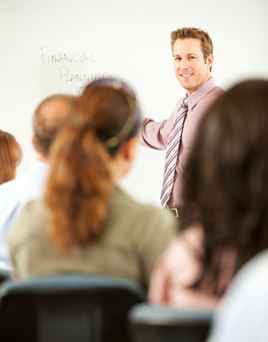 We can customize similar training for you and your employees. Training and retention are critical issues to maintaining your facility expectations and managing costs. Today's fast-paced technology driven world demands organization and documentation. Empire can introduce you to a custodial maintenance management software system that will simplify your workload scheduling, direct quality inspections, create reports and graphs, all designed to manage and exceed your facility's changing needs. Already have an account? Contact your account manager now! If you are new to Empire Paper, checkout all the benefits of becoming a member.